Bogdan U. & Alex F.
The global cryptocurrency world enjoyed in the beginning a period of time often described as a “crypto gold rush.” When Satoshi Nakamoto invented the “peer-to-peer electronic cash system,” he set free an entirely new world of possibilities not only for freedom but also for outrageous profits and the likes of geeks, cypherpunks, cryptographers or hackers were the first ones to take advantage of that. But is the digital El Dorado something palpable? Actually, the mining has grown from something done by a handful of people in their homes to an entire industry with the speed of light. The easy money was dug a long time ago, and the remaining “gold” is buried deep and hard to obtain. And now, only the ones with big pockets can afford the high-powered machines and equipment needed to mine Bitcoin or any crypto at a profitable level. While mining cryptocurrencies is still available for everyone, those with underpowered tech will barely cover the electricity bill with the mined coins, just maybe if they do not pay the bills or their Watts provider has meager prices. As the mining process became harder, more time consuming and required more hardware or tech knowledge, a lot of crypto enthusiasts changed the path towards crypto trading, to earn better profits. One of the few licensed platforms that offers you this opportunity is BitCanuck.ca, where you can start trading in no time. Enough history, how mining cryptocurrencies actually works? In straightforward terms, any type of mining cryptocurrencies means that you have to use your CPU/GPU or specially designed stations power to solve some math. But it gets trickier, for Bitcoin is the process of updating the ledger of Bitcoin transactions known as the blockchain, racing against other miners in an attempt to guess a number needed to solve an equation generated by the system. The Ethereum and Bitcoin mining process is similar to Bitcoin’s. Miners try to resolve the answer to a puzzle using computing power, for each block of transactions. It is impossible to cheat at this game, that is why the solving method is called PoW (proof of work). Other coins using the PoW blockchain are Litecoin, Dogecoin, Dash, Monero, etc. A few other things need to be taken into consideration. Mining difficulty is the rule which states that the more mining power the network has, the harder it is to guess the answer, the mining difficulty being self-adjustable. Hash rate is the measure of a miner’s computational power. The bigger the power, the more solutions a miner is likely to find. Initially measured in hash per second (H/s), due to the increasing speed of mining hardware. H/s was soon commonly pre-fixed with SI units, and now we have from Kilohash (thousands of H/S) to Petahash (quadrillion of H/s). Ethash is probably the most known one and is a Proof of Work hashing algorithm developed by and for Ethereum. One of the main reasons for the creation of this algorithm is represented by the ASICs. Ethash is ASIC resistant and can be mined only with GPUs. Zhash was created to strengthen the Equihash protocol to be more ASIC resistant. It increases the hardware requirements of Equihash, so ASICs become less viable. The goal of this algorithm is to bring GPU mining on the same level as ASICs. CryptoNight, developed by Bytecoin and CryptoNote devs, is a proof-of-work hashing algorithm, designed for CPU and GPU mining, but is impractical for ASICs, because it is memory hard and latency dependent Privacy coins such as Electroneum, Monero or Bytecoin are mined with this algorithm. NeoScrypt, the descendant of Scrypt algorithm, has great speed of transactions, even at high loads, because it does not tie the hash to a person but allows users to identify within the system. Some popular coins built on it are VIVO, Phoenixcoin or Innova. X11 is a PoW algorithm which works by combining 11 individual hash functions in one single algorithm. A value is submitted, the 1st function produces a hash which goes to the next task to make another hash and so on. E few benefits of this algorithm are security, effectiveness, low power cost, and mineability. Back in 2009, you could efficiently mine just with your CPU because the difficulty was very low. As the crypto world grew bigger and bigger, in 2011 people started to use GPUs for their hash power, then FPGA mining came with not very much adepts. From 2013, ASICs became famous for their significant hash power, and until 2016 it was a real battle. Since 2016, the releasing pace of a new miner has slowed down dramatically. It only depends on how much money you want to invest, because a mining rig can go from a few hundred bucks to tens of thousands very fast. Alone or as a wolf pack? Even if you have the best possible tech, you are still at a disadvantage compared to mining farms. That is why you should join a mining pool. A group of miners creates a “pool” (by combining their hash power). Once the pool wins the reward, it is spread out to all members depending on how much mining power each has. 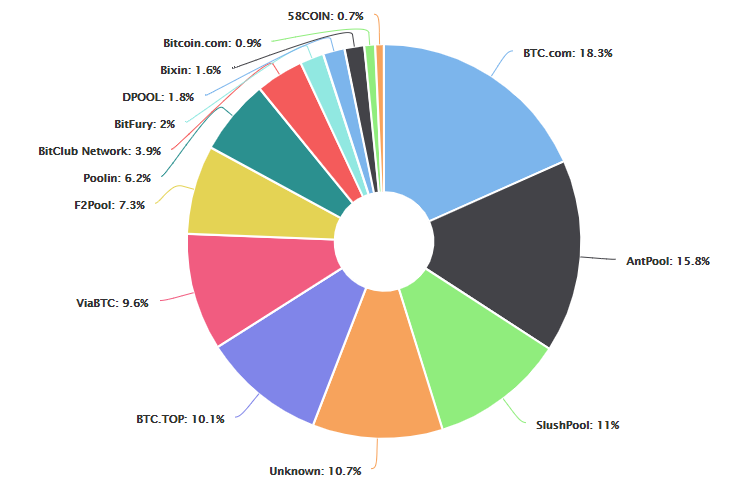 The list below details the largest Bitcoin mining pools. Mining cryptocurrencies sounds simple but is a very complex domain, with a lot of research needed, otherwise, you could lose a lot of money very fast. If you plan on becoming a miner take into consideration the profit you could make after covering all the expenses and what crypto coin is more profitable to mine. Another option is cloud mining, where you basically rent someone else’s hardware for a monthly fee, and they mine what you ask them. If you wish to understand more about the crypto world or you just want to experience crypto trading, BitCanuck.ca is the secure and fast way of doing it. What is the KYC process and why is it necessary?